foraging walks, hiking, biking to water skiing and sailing. to learn a brief history of Cambridge click here. The Cambridge Community Activities Program encourages and promotes life-long wellness by providing a variety of high-quality recreational activities, learning opportunities, aquatics programs, and services to the broad Cambridge area community. is managed by the Cambridge CAP. This beautiful facility offers eight lanes and a thirteen foot diving well. The pool is open year round to both residents of the Cambridge School District and non-residents. 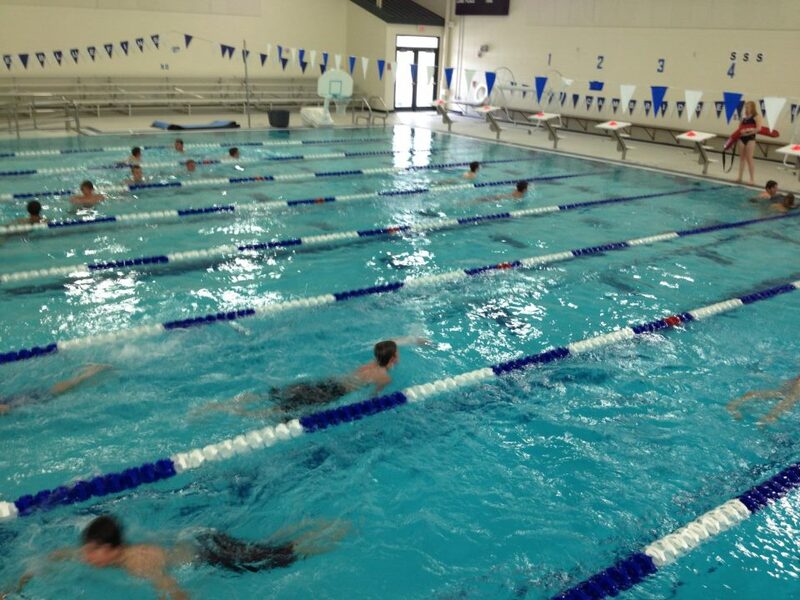 We offer swim lessons, certification courses, open and lap swim, water fitness classes, swim team and much more! One of the Wisconsin's best kept secrets - CamRock County Park and Trail System. 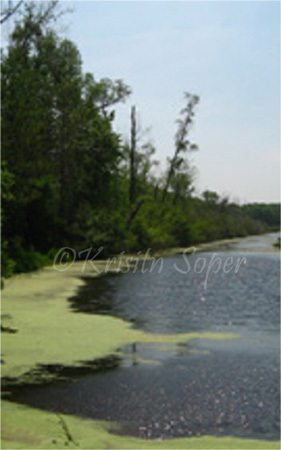 This 422-acre park is located along Koshkonong Creek between the Village of Cambridge and Rockdale. This park has three separate use areas with shelter facilities and play areas. The trails are suitable for hiking, cross-country skiing, and CamRock area 3 has a single-track mountain bike trail. Rentals available to Bike, Kayak, Canoe, Cross-country Ski, snowshoe and ice skate in Cambridge at trail head. On the west edge of town, and bordered by Koshkonong Creek and a pleasant neighborhood lies this gem of a park. Playground equipment, bathrooms and a wonderful hill for winter sledding, plus some large old trees make this park a great place to relax. Trail consists of just over 8 miles of wooded singletrack with some open and flowing sections. Beginner to advanced. A Nature-based play space for mountain bikers from beginner and skill features to a pump track. Located on North end of CamRock 1 by Koshkonong Creek Bridge and Westside Park. 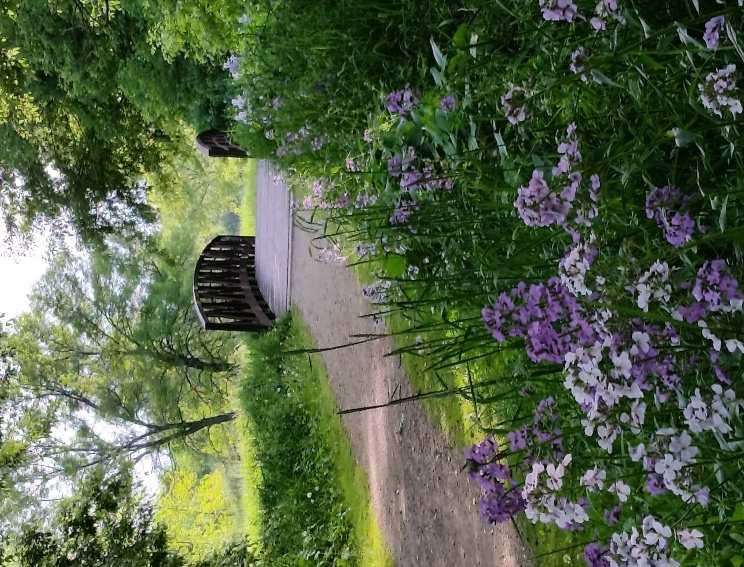 This project would link parks, preserves, wildlife and natural areas and other conservation lands to nearby cities and villages with different types of trails. This network aims to connect people to the outdoors providing readily accessible opportunities for resident and visitors to get outdoors, plus to protect and native habitats and improve water quality. On the west edge of downtown runs this quiet creek which is favorite for canonists and kayakers. The creek takes you from Cambridge to Rockdale through the CamRock Park system. Just south of Cambridge on Cty Hwy B, lies the historic village of Rockdale. Home to the CamRock park system, which just recently hosted The Battle of Cam Rock, the seventh race of the Subaru-sponsored 2011 Wisconsin Off Road Series. The Rock River Water Trail links 11 counties in both states along the 320-mile river course, from the headwaters above the Horicon Marsh in Fond du Lac and Dodge Counties to the confluence with the Mississippi River at Rock Island, Illinois. The water trail is a delineated path on the river that connects access sites, resting places and attractions for users of water craft. Lake Ripley is a 420 acre lake located in Jefferson County. It has a maximum depth of 44 feet. Visitors have access to the lake from public boat landings, a public beach; which is great for swimming, kayaking, or boating. Fish include Panfish, Largemouth Bass, Northern Pike and Walleye. The lake is most famous for producing Wisconsin's largest largemouth bass. Caught by Robert Milkowski on November 12, 1940 the state record largemouth bass weighs in at 11 pounds and 3 ounces. Located 1mile East of Cambridge off Hwy 12 to Left on Park Rd. - take connecting roads to right - circles around Lake. You may access the Lake by boat from either private piers or the Marrina located 1 mile east of Cambridge off Hwy 12 to Marina Lane, ends at Lake. A 167 acre natural prairie and wetland with restored shallow and deep-water marshes that now provide sanctuaries for frogs, turtles, cranes, wood ducks, herons and other wetland-dependent species. In addition, upland portions of the property were planted to become a native, tall-grass prairie. A 1 mile, nature trail winds through the western half of the property where several interpretive signs and links to an elevated boardwalk that spans a shallow pond, and a hilltop observation deck featuring panoramic views of the marsh. 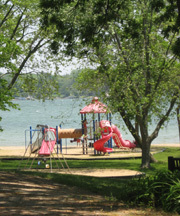 Located east of Cambridge and Lake Ripley on both sides of County Highway A.
Ripley Park, located on the west shores of Lake Ripley, is an 18 acre park. Bring your family and friends to the park to enjoy a day at the beach, play tennis, volleyball or basketball , plus a children's play structure, and much more. new for 2012 a nine-hole recreational to intermediate level disc golf course. Ripley Park is open seasonally from Memorial Day to Labor Day. Daily fee or season pass.